It has been over a month since my last post--wow! Life has snuck up and kicked me in the knickers this past month and between work-related crud, traveling, my UC Davis winemaking class, & personal winemaking (more on that later), I just haven't found time to write much. But enough about me--let's get back to the wine. 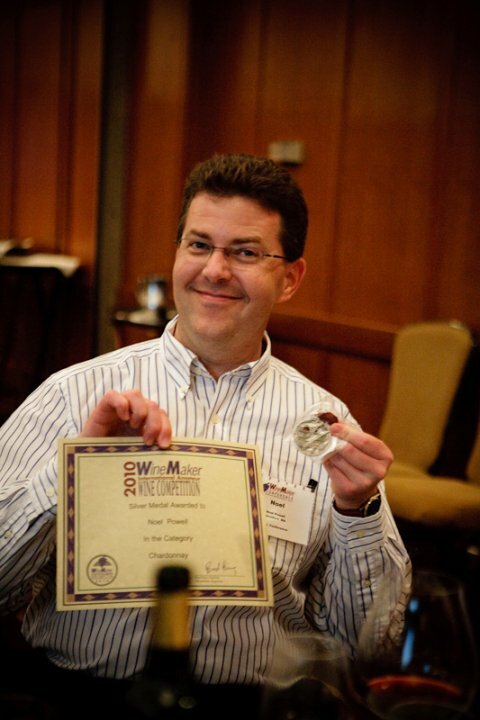 Faithful (and patient) readers will recall that I was gearing up to go to the WineMaker Magazine 2010 Conference in Stevenson WA to see if my wines were received (and learn some other stuff too). At the end of May, I hopped on a plane for the West Coast. I thought I was lucky to get a direct flight from Boston Logan to Portland, OR, but I got a seat about 2 rows in front of a very small child who proceeded to scream her head off for the ENTIRE 5.5 hr flight. That was officially the longest flight I have ever been on in my life & I may have bulled over some folks making a dash for the exit door. I was wearing soft shoes, but I still apologize to anyone who has my footprints on their backs! Fortunately, the drive up the Columbia River gorge on my way to the WA wine areas put me back in a better move. Unbelievable scenery! And such a dramatic change from the wet west side of the Cascade Mts to the dry eastern side. I had gone out a couple of days before the conference to spend some time in the WA wine growing areas which I haven't had a chance to visit until now (more on that later, too). 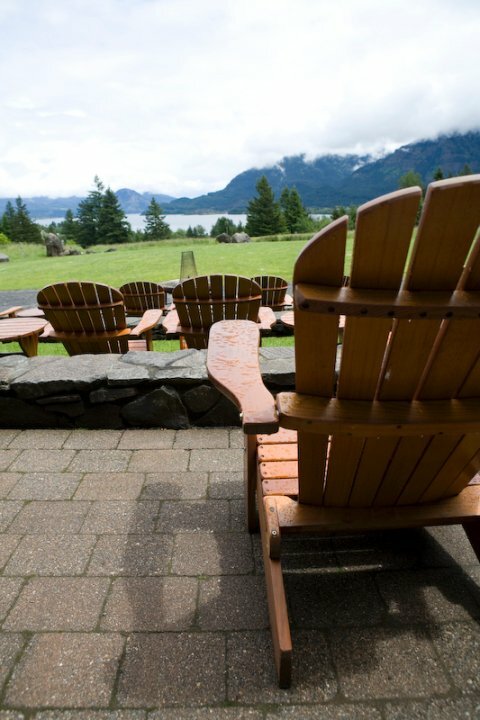 Let's just paraphrase and say that I thoroughly enjoyed my wine tasting (my wallet didn't) and eventually ended up back in Stevenson for the conference, which was held at the Skamania Lodge overlooking the Columbia River. Gorgeous scenery--here's a picture of the view from the lodge. Nice, huh? 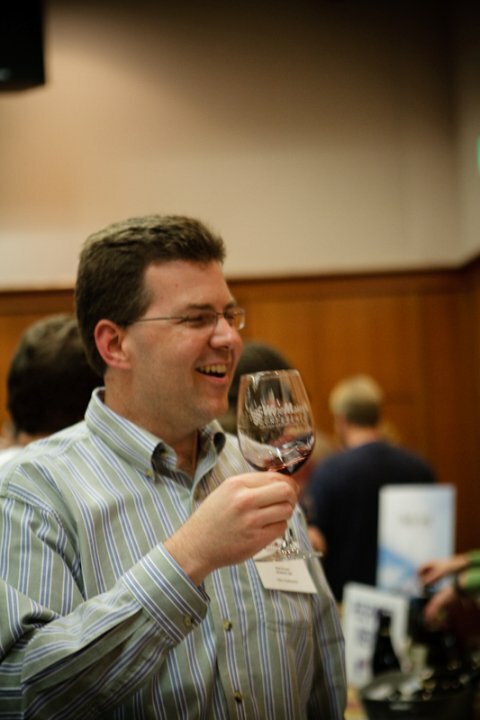 Of course, this was a serious conference so I spent the next 2 days inside at seminars on various winemaking topics like sanitation, proper yeast nutrient regimes, crafting award-winning wines, yeast biochemistry, growing grapes in the Pacific NW, etc. It was a good thing that the weather was cool and rainy because otherwise it would have been difficult staying inside during the packed schedule. Also had the opportunity to meet a lot of fellow winemakers from across the USA & Canada, including some fellow New Englanders (Jason Phelps of Ancient Fire Wines in Londonderry, NH & Joanne Crawford of Crawford Estate Winery in Georgetown, MA). Who'd have thought I had to travel across the country to meet folks who live just a few miles from my house? 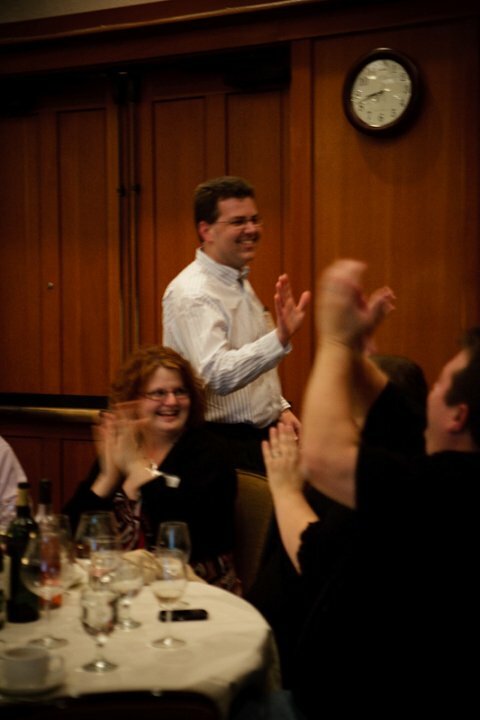 The kicker of the conference was the Awards Dinner on Saturday night. I had submitted a few wines and was nervously awaiting the results of how they fared. The awards were announced by varietal class, so I had to wait awhile to get to a category that I had entered. Chardonnay finally came along, and the words "Silver Medal to Noel Powell of Westford, MA" was music to my ears! I was a little dazed as I walked up to get my medal amongst thunderous applause (remember, it's my blog and I'll tell it like I recall it). A little while later in the Misc Red Vinifera category, I heard "Bronze Medal to Noel Powell of Westford MA for 2009 Chilean Malbec"! A second trip down the red carpet (OK, it was more of a orangey-brown color)!!! Our table did quite well. Jason Phelps took home 9 (yes, count 'em-9) medals and Robbie Rogers also got a medal). We was happy campers! I think the final picture says it all--talk about a kid in a candy store! Pretty darn pleased with how the wines were received (more on that later, too). Next year's conference is in Santa Barbara, CA, but I honestly haven't decided whether to attend or not. Going to have to weigh the cost, travel expenses, and what new info I'll get out of the seminars. Thanks for the shout out. I was quite proud of the hardy New Englander's (original and adopted) representation at the awards dinner. Margot heard somebody ask where NH was. Good stuff. Looking forward to popping some corks with you soon.